GREEN BAY, WI. [IP] - The Green Bay Packers showed a lot of promise early on in 2021, building a 7-4 record before dropping four of their last five games to finish 8-8. Despite the disappointing end to their season, the one player who makes them hopeful for the future is rookie wide receiver Charone Peake. The 6'2" 209 lb. wideout from Clemson was taken by the Packers with the fifth overall pick in the 2021 draft and gave the franchise an instant return on their investment by finishing at or near the top in every receiving category. Despite being double teamed for much of the season, Peake was the lone bright spot in a Green Bay passing attack that tended to be erratic at times due to inconsistent play at the quarterback position. The Packers will be looking to bring in someone to pair with Peake in order to make defenses pay when they try to double him in future seasons. Packers cornerback Meir Payne tries to corral Saints halfback Bishop Sankey during Green Bay's 26-7 road win at the Superdome. NEW ORLEANS, LA. [IP] - The Green Bay Packers traveled south in week four to face The New Orleans Saints at the Mercedes-Benz Superdome. Any concerns about rust from their bye week evaporated immediately when Rashaan Jones returned the opening kickoff 99 yards for an early 7-0 Packer lead. On the ensuing drive, the Packers defense looked unsteady as halfback Bishop Sankey began to weave his way through the Green Bay defense on the ground before quarterback Jameis Winston hit Sankey on a sideline streak to give New Orleans a first down at the Packers' one yard line. The scoring opportunity was snuffed out when outside linebacker Danny Travathan stepped in front of wide receiver Tavon Austin to pick off the Winston pass in the end zone and return it to the Green Bay five yard line. Green Bay would pick off Winston 3 more times on their way to the 26-7 victory to move to 2-1. Packers halfback Alvin Kamara finished the game with 102 yards on 19 carries. Spell back D'Anthony Thomas had a short TD run while kicker Kevin Wagner added 4 field goals. The Saints lone score came on a 64 yard screen pass to Tavon Austin. Next week, the Baltimore Ravens visit Lambeau Field for the Packers home opener. Green Bay cornerback Jonathan Banks picks off Chicago quarterback TJ Yates at the Bears' four yard line to seal the Packers' 24-12 win. CHICAGO, IL. [IP] - The Green Bay Packers rebounded from their week one loss to San Francisco with a 24-12 win over the Chicago Bears. The Packers scored on an 8 yard run by Kerwynn Williams and at 27 yard TD pass from CJ Johnson to Charone Peake to jump out to a 17-3 halftime lead, but the Bears rallied to narrow the score to 17-12 in the 4th quarter. Chicago drove to the Green Bay seven yard line with :17 left to play, but Packers cornerback Jonathan Banks picked off Bears QB TJ Yates at the Green Bay four yard line and returned the interception for a 96 yard TD to end the game. 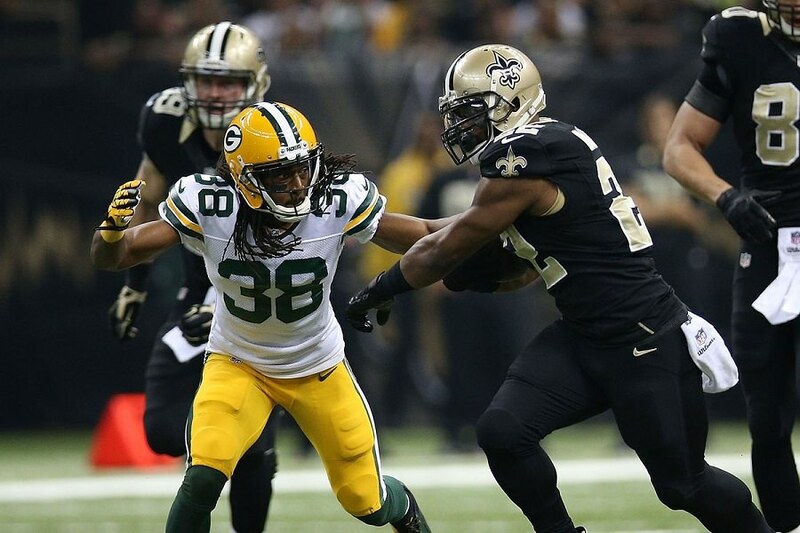 Green Bay has a bye in week 3 and travels to New Orleans to face the Saints in week four. SAN FRANCISCO, CA [IP] - The Green Bay Packers opened the 2021 season on the road against the defending NFC Champion San Francisco 49ers. The fans were anxious to see how these new look Packers would perform under their new GM and from the looks of things the team has a lot of work to do. Despite holding the 49ers out of the end zone, Green Bay had no answer for the running of Carlos Hyde as he racked up 190 yards rushing to set up five field goals by Niners kicker Tre Kindrey as the Niners cruised to a 15-10 win. The Packers were held to a woeful 138 yards of total offense while giving up 346 yards on the day. Packers return man Rashaan Jones returned a kickoff 95 yards for the only touchdown of the game. The Packers travel to Soldiers Field to face their division rivals the Chicago Bears in week two. 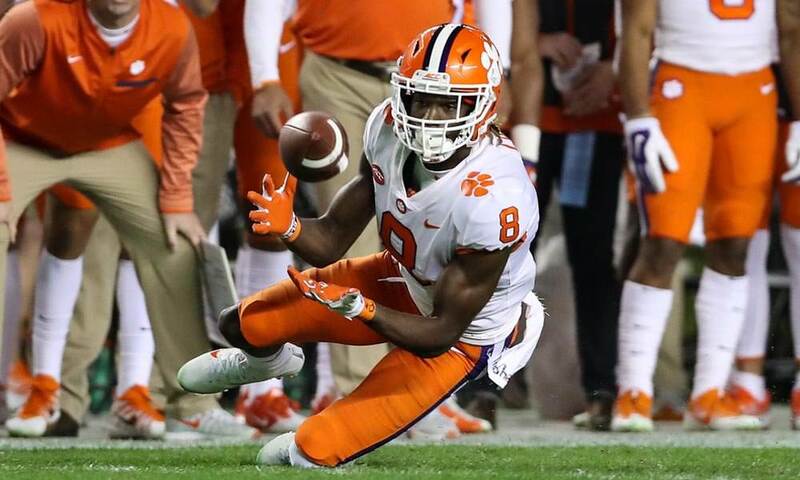 1.5: WR Charone Peake 6'2" 209 lbs Clemson University - Green Bay shipped left defensive end Shaq Lawson and the Packers' 1.18 pick to Washington to acquire the 1.5 pick in hopes one of the two top wide receivers would be there for them. Charon Peake fits the Packers new offensive system perfectly and should have a prolific career wearing the green and gold. 2.18: TE Ricky Seals-Jones 6'5" 243 lbs Texas A&M University - With tight end being a position of need, Green Bay was tempted to use its 1.5 pick on one of the two top tight ends in the draft after some unexpected developments in picks 1-4 but decided to stick to its original plan in hopes a solid player would still be available in rounds two or three. 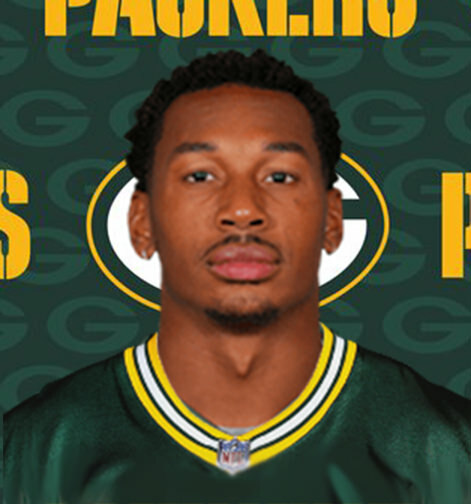 Ricky Seals-Jones has the right combination of height, speed and athleticism to be an asset in the Packers passing game for years to come. The Packers also signed free agent Ladarius Green to provide leadership at the position. 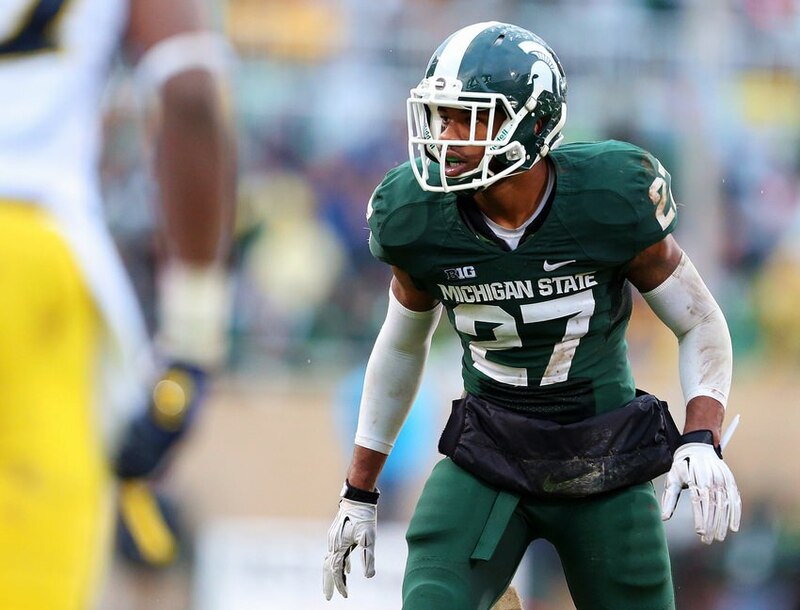 3.7: FS Kurtis Drummond 6'1" 210 lbs Michigan State University - Green Bay had their eye on former Saints free safety Deon Bush but was unable to secure a trade and unwilling to enter a bidding war for his services in free agency. After missing out on top prospects Rontez Miles and Mario Addis in the 2nd they hit on Kurtis Drummond in the 3rd, who brings good height (6'1") in a division full of tall receivers along with 94 ACC which should really help Drummond when he needs to come up in run support or even blitz off the edge. 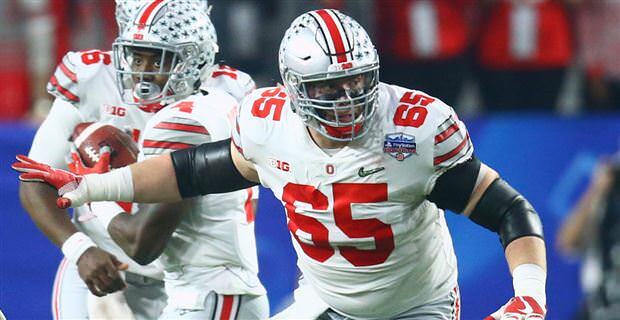 4.18: RG Marvin Moore 6'2" 321 lbs Ohio State University - With standout right guard David DeCastro getting a little long in the tooth, Green Bay opted to draft his future replacement here with Marvin Moore from The Ohio State University. 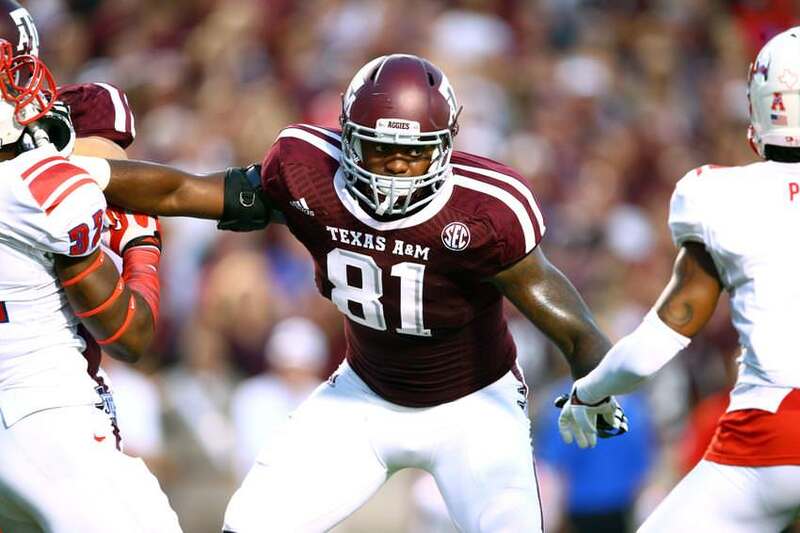 Moore will have a couple of years to beef up in training camp before he finally inherits the starting role. 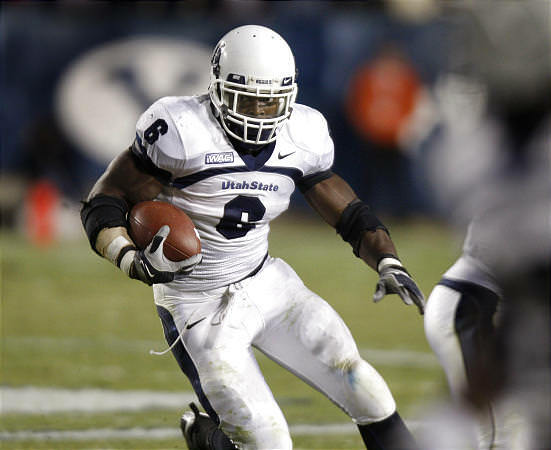 5.18 HB Kerwynn Williams 5'8" 198 lbs Utah State University - After coming very close to grabbing a couple of solid backs earlier in the draft, Green Bay feels they got good value with Kerwynn Williams in the 5th round. Although small in size at 5'8" with below average carry and break tackle, Williams has good hands to be the third down back or even spell back behind Alvin Kamara. Williams can also help in the kick return game. Green Bay fortified their linebacking corps by signing veteran ROLB Danny Travathan in free agency. Travathan will be position changed to take over at left outside linebacker while there are rumors Green Bay will bring in another young linebacker to groom as his eventual successor. GREEN BAY, WI. [IP] - A new GM takes the reigns in Packerland as former Saints GM moves north to take over in Green Bay. New Packers GM Malron Jett is happy to get the chance to lead his favorite team in the PFL but with 15 players at the end of their contracts its a sure bet the team will look completely different by opening day. Halfway through the 2020 PFL season and the Packers find themselves in exactly the position they thought they would be at the start of the 2020 PFL season....right smack dab in the less than mediocre range of a 3-4 record. If not for some timely good luck (Saints and Seahawks games) and a 6 turnover performance by the Bengal offense, the Packers could very easily be 0-7. All in all a very frustrating season at the mid way point. Coming out of the 2019 draft, the Packers had some hope, having drafted in the first couple of rounds for the first time in a long time under GM Gamble. We picked up HB Alvin Kamara who has been....meh....for the most part and often injured. SS Jabril Peppers has been the starting SS for the entire season so far and hasn't sucked. Late round pick up LG Jai Gibson has been holding down the starting LG spot and also hasn't completely sucked. Wr Ju Ju smith Schuster hasn't seen the field so it's rather hard to evaluate him at this point. With the playoffs a distant hope he will probably see more playing time as we play out the rest of the schedule. The biggest disappointment so far has been QB Chester Vickers. The lefty acquired from the Titans in the offseason has all the attributes of a successful madden qb except for the fact that he's a lefty. This apparently makes him an idiot. Not only does he throw INT's at the worst possibile times but he has a terribile habit of throwing the ball to.....nobody.... He also takes a lot of sacks. In short it has been an unmitigated disaster and it looks like he will be traded in the offseason. Once the pride of the Packer organization, the defense has been average at best this season. They have struggled in the red zone especially, giving up td's where in the past they would force fg attempts at worst and turnovers at best. The Packers have struggled to stop the run especially with the D line taking the majority of the blame. Special teams haven't completely sucked. So as the second half of the 2020 season looms ahead the Packers can see perhaps 2 more wins on the schedule, maybe 3 if they are lucky. That's assuming the injury bug doesn't hit us in which case it's very possibile that the Packers end up 3-13. That's it for now, we'll post a 2020 post mortem at the end of the season. The detroit lions rolled into Lambeau field under new head coach Ryan Covault, looking for a win but it was the Packers defense, which aside from two weeks ago against the Bucs, has been playing very good football as of late. The rainy conditions made it more difficult for the Lions recievers to hang onto the ball but even more so with some savage hits, seperating the ball from the man intending to catch it. 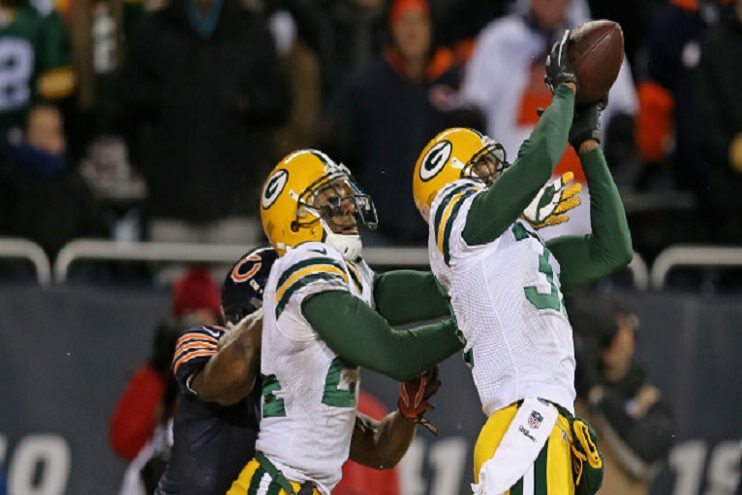 It wasnt all about the defense though as the Packers passing game finally got back on track. Though not gaudy numbers by any stretch, given their recent problems, anything over 200 yards and north of 50% completion is certainly something to cheer about. Wr Dontrelle Inman had a particularily good game, coming down with several long receptions. The run game was its usual enemic self coming up just short of 100 yards between new HB Ferguson and old veteran Jackie Moon. Newly acquired kicker Wagner continues to impress with a 2 for 2 day both from 45 plus away in terribile conditions. Next week we face Hank and the always tough Redskins. Hooper....Hooper...and once again....Hooper. This was the apparent mantra of the Bucs offensive coordinator in last nights PFL contest between the Packers and the Bucs. Unfourtunetly for the Packers, they rarely had the answers to stopping him. 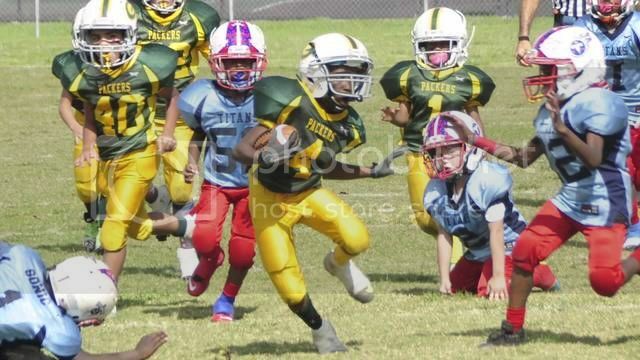 "We tried man at first but our Olb's were just too slow to run step for step with this guy. We switched to zone later in the game and that worked much better but by then it was too late" said coach Gamble during a clearly frustrating post game press conference. The Packers offense did not help the situation. The passing game, for 3 quarters anyway, was....well..awful. Geno Smith, conung off last weeks positive performance, threw a pick six deep in Packers territory which would turn out to be the difference in the game. 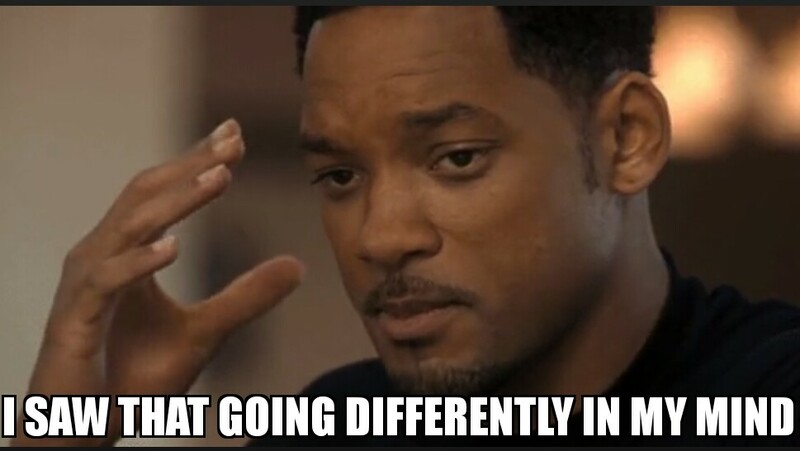 Smith was later benched in favor of rookie Mon Wayne who proceeded to march the packers down the field late in the 4th resulting in the TD that would get the Packers within 5 points with just under 2 mins left. With 3 timeouts, the Pack looked to stop the bucs and get the ball back for a chance to win but Hooper struck again, this time by breaking a tackle and securing what should have been a game ending first down. I say should have been because, inexplicably, the bucs, rather than kneeling on it decided to continue to run plays and sure enough, their fullback put the ball on the ground with 40 seconds left, deep in Packers territory but the Packers couldnt come up with it. Positives: Newly acquired K Wagner was 2 for 2. Rookie QB Mon Wayne went 4-8 with a TD. No picks. Next week its off to LA to play the Rams. Rumors are circulating that Geno Smith will be benched in favor on rookie Wayne. 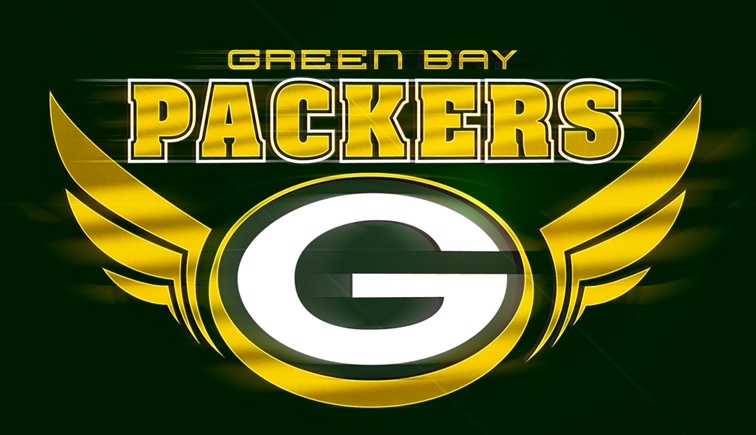 Major changes in Green Bay's roster left Packers fan's with very limited expectations for the coming season. But the offense over performed expectations and the Packers were able to pull out a 23-20 overtime victory over the Tennessee Titans at Lambeau Field Sat night. HB Jackie Moon: 98 yards rushing. Brad Shields: 4 catches for 72 yards 1 TD and the 42 yard leaping sideline grab that put us into FG range in overtime. Gave up 174 yards rushing. 1 demoralizing run in which their HB Rawls busted through a quarter D, broke several tackles and took it to the house for an 80 yard run. Gave up 1 long pass for a TD to Jermaine Jones. Very close game throughout. Was a bit surprised that my running game was as effective as it was. Moon appears to still have some gas left in the tank. Only 3 drops which, for my WR's is also pretty good. Will have to find a way to work my TE's into the gameplan more. Defense played ok, not great. Gave up WAY too much rushing yardage but that doesnt concern me as long aas its between the 20's. Oline, consisting of mostly 70's ovr guys got me 135 yards rushing so very happy with that.